Wholesale Chinese Crystals. Our Chinese crystal glass beads are made to imitate the glorious Swarovski crystals in brightness, sparkle and facets. This 2010 new line was rolled out with months of preparation including glass material, processing equipment and factory worker training. After painstaking QC for the finished items, we developed our own packaging to protect the beauty of each bead. 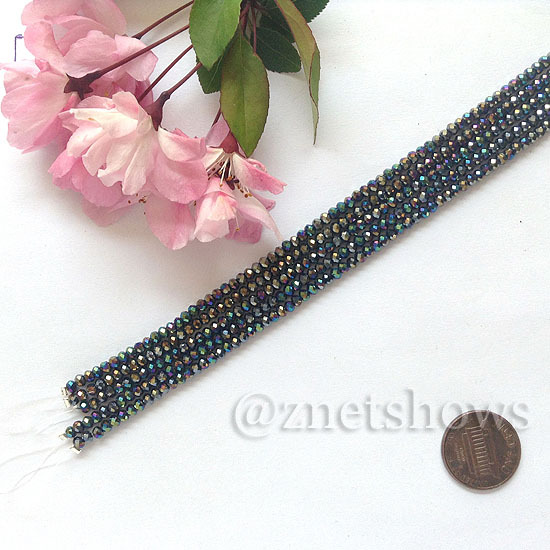 Expert evaluation indicates that our designer glass beads can measure up to 65% of the quality of Swarovski crystal. All of our AB finish beads are processed using a high temperature method to ensure the finish remains vibrant for longer. More than 60 colors are available for these faceted rondelle glass beads. 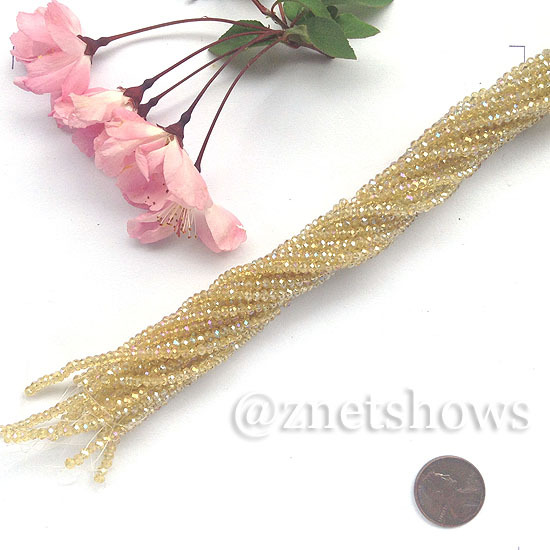 We wholesale these Chinese crystals in about 100 colors, pack them as 10 strands per hank in the popular 8-in-str length. We hope the smaller units will enable your customers to try more variety. 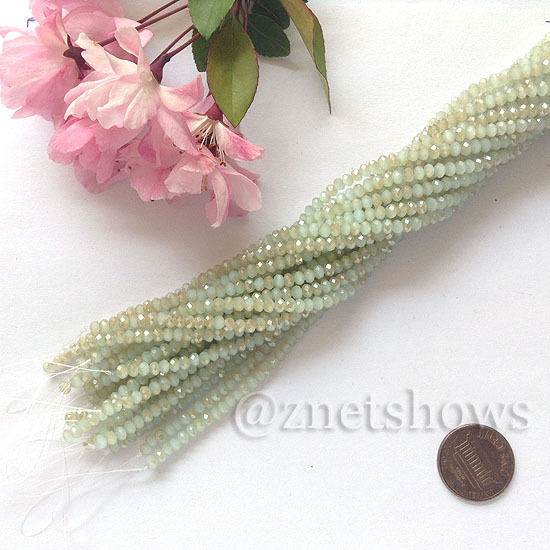 This is just one size of the Chinese crystal beads we have. Go to our wholesale section to see hundreds more of different sizes, shapes of Chinese crystal with most competitive wholesale prices.